Share confidential information only on a “need to know” basis. 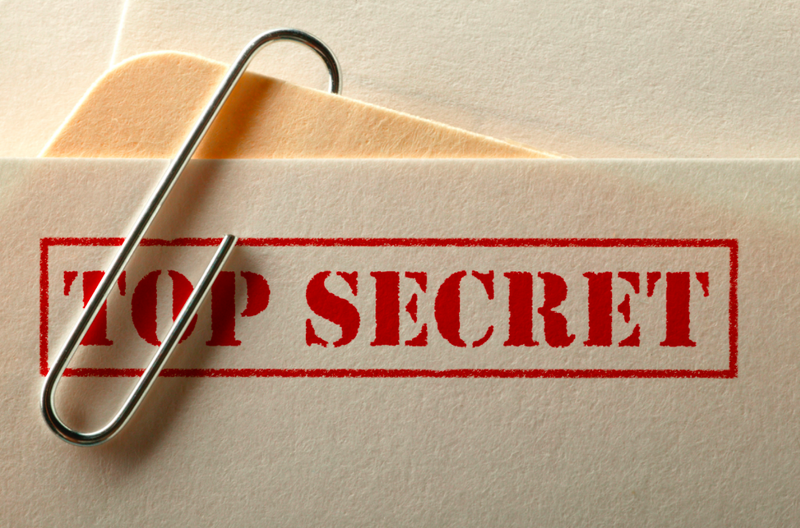 Limit the number of employees exposed to trade secrets. Always inform employees exposed to those trade secrets a) that they are being exposed to secrets and b) of the importance of keeping the secrets secret. Mark all confidential documents CONFIDENTIAL—NO COPIES ALLOWED. For added security, number each copy and keep a log of which numbered copy was given to which employee. Use access logs for trade secrets. Require anyone (employees, suppliers, customers, consultants, and other business partners) who might come in contact with trade secrets to sign confidentiality and nondisclosure agreements before the relationship begins. In consultant contracts, be clear about what intellectual property the consultants are to assign to your company during their assignment. Require employees to sign noncompete agreements that prohibit them from working for competitors for a period of time after their employment with you ends. If this is done within an employment contract, present this information to prospective employees well before they commence their employment with you so that the “consideration” is employment. Educate employees about the treatment of proprietary information during and after their employment with you. Carefully orchestrate employee terminations so that employees are not able to take proprietary information with them. Schedule exit interviews with departing employees. Use those interviews to remind departing employees of their confidentiality obligations. Never store or allow transfer of confidential information outside of your company’s firewall. Make extensive use of shredders. Be especially careful of contract workers. Provide them with a company computer so that they don’t have to use their own on the job. Coca-Cola’s syrup formula is kept in a bank vault in Atlanta, and only Coca-Cola’s board of directors has the power to request the vault to be opened. Only two anonymous employees know the formula, they have signed nondisclosure agreements and they are not allowed to fly together on the same plane. (Source: Stephen Fishman and Rich Stim, Nondisclosure Agreements: Protect Your Trade Secrets and More, Berkeley, CA: Nolo, 2001). © 2015 Brad VanAuken, Reprinted from Brand Aid, second edition, available here.